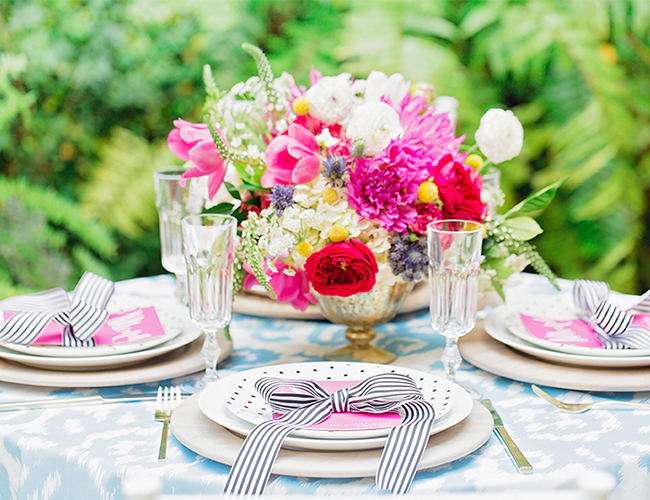 This brunch is filled with bright pops of color, a custom ikat linen, stripes, fresh florals, golden accents and our personal favorite, confetti! 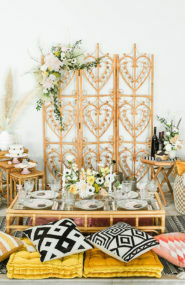 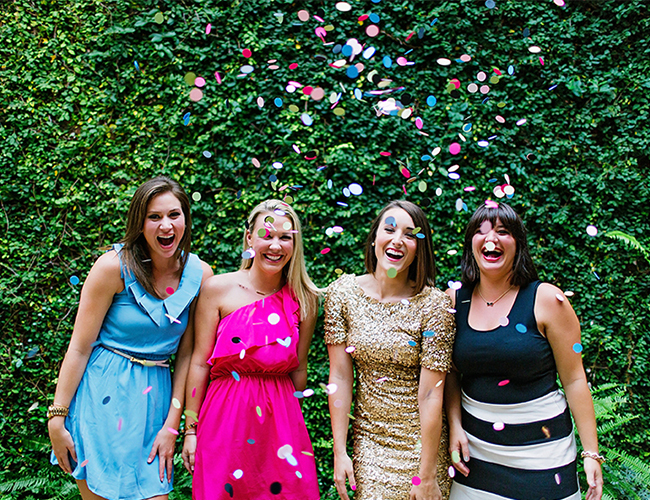 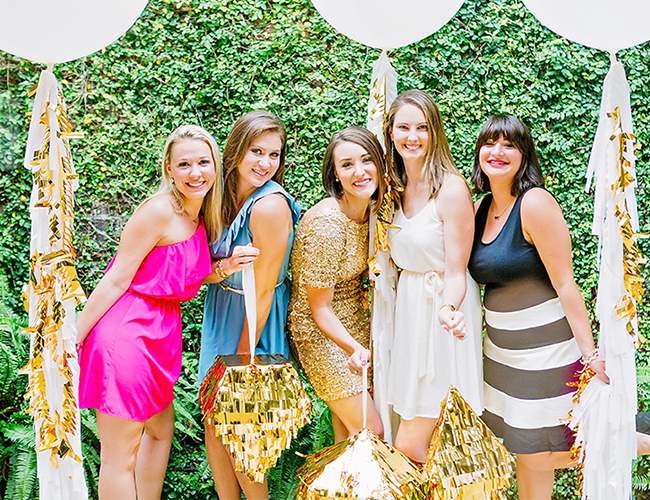 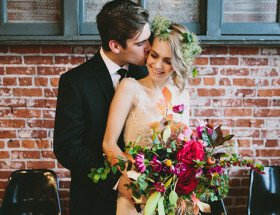 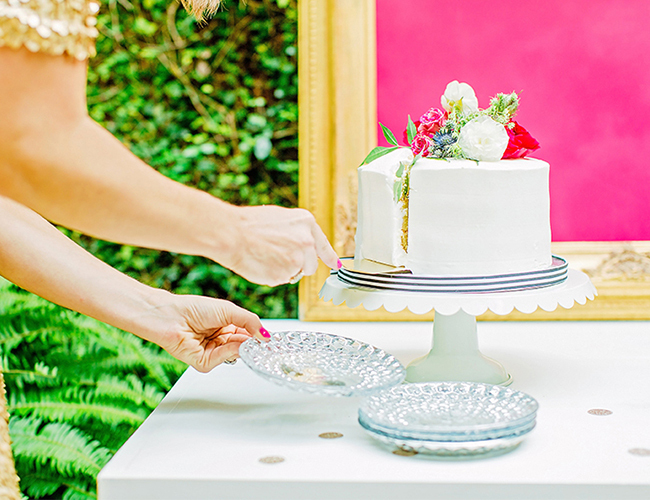 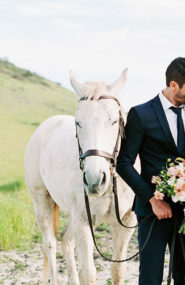 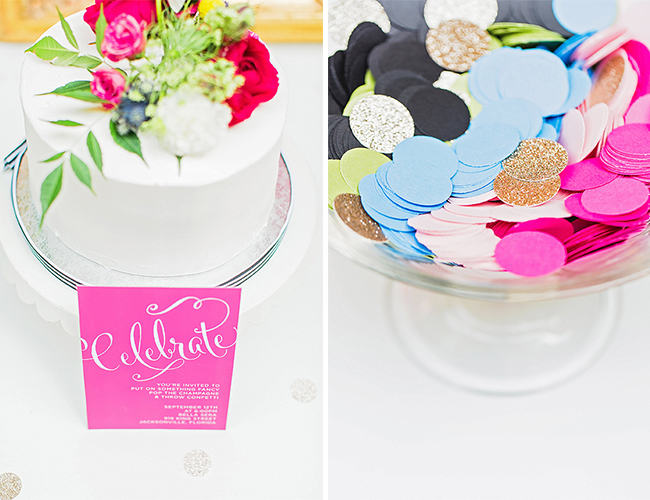 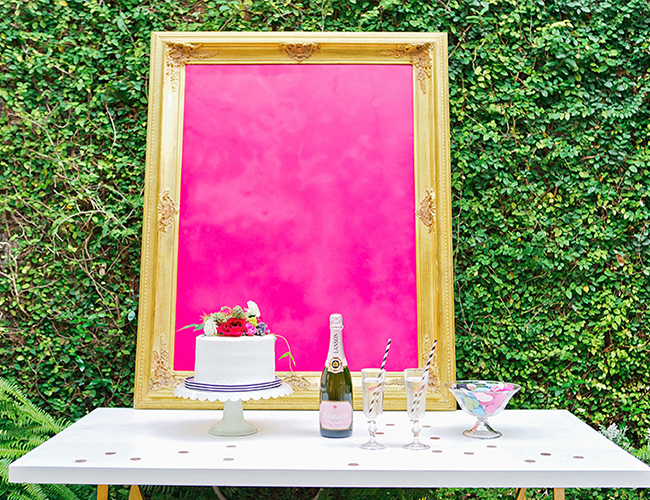 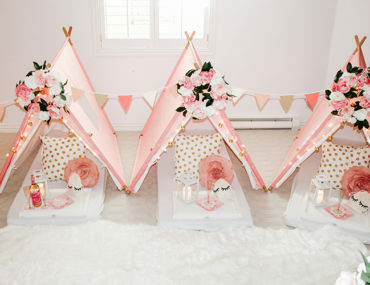 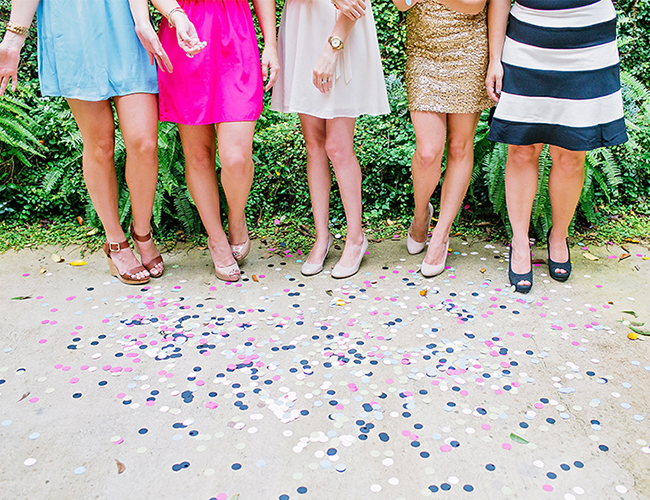 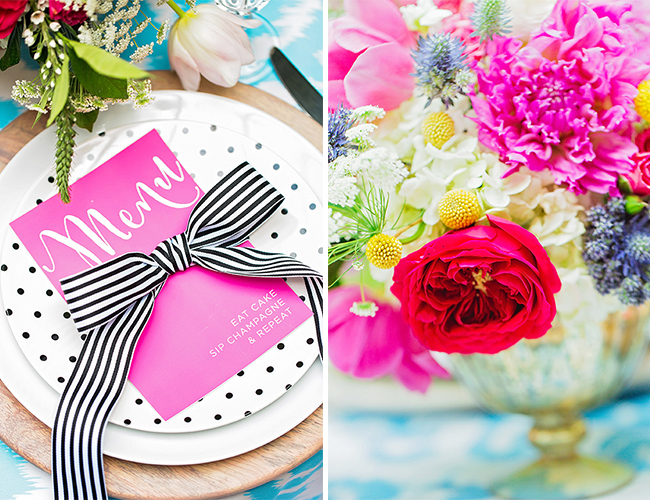 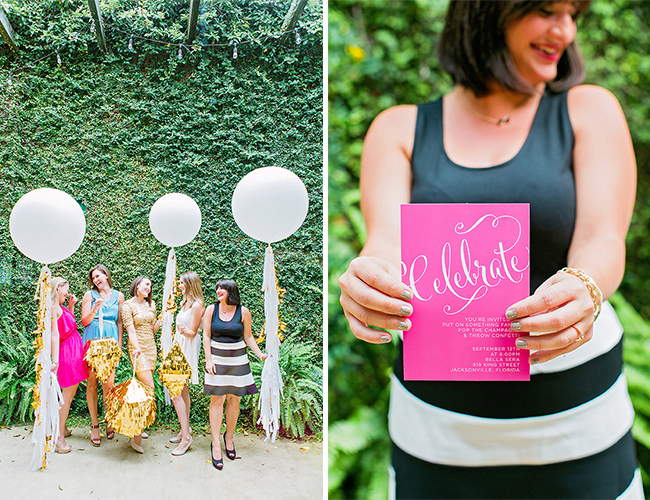 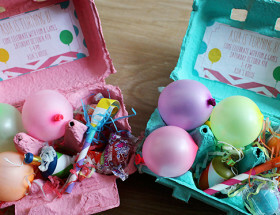 We love the concept of an intimate little party for your best gals filled with pretty and playful details like a Menu card that gets right to the point with “Eat cake, sip champagne & repeat,” tassled big balloons and gemstone pinatas for a fresh take on photobooth props, and a dash of bright and bold blooms because we can. 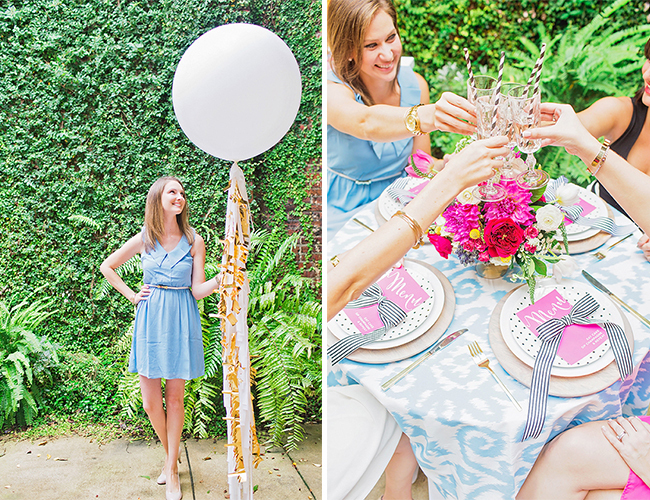 The design was inspired by our refreshed brand design and incorporates our signature blue ikat print that we had custom made into a linen and confetti that we include in our client experience (and just anytime we feel like throwing around confetti!). 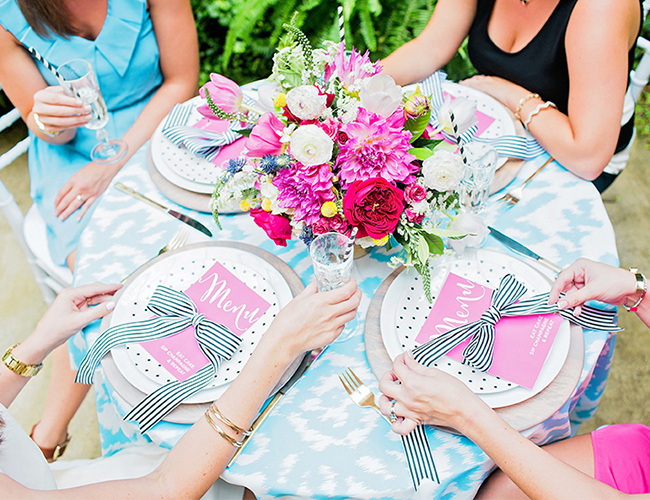 We are girls that believe pretty little things have value BECAUSE they make our days just a bit brighter, but are careful to create intentional details for sharing and enjoying and loving on those around us. 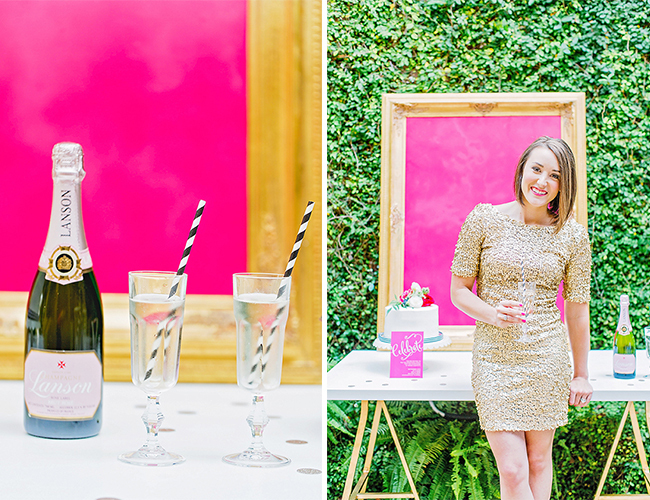 We sipped plenty of champagne, slipped into something fancy and had a blast being totally girly for the night!